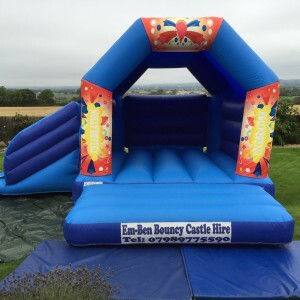 We are a family run business based in Ilchester near Yeovil offering a professional and friendly service to Somerset and the surrounding area. 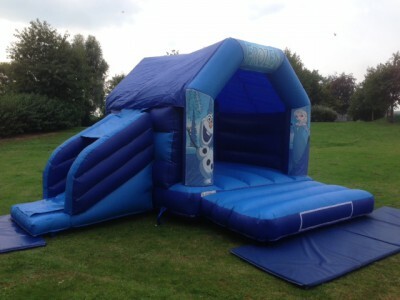 Our company prides ourselves on supplying quality equipment, which meets the highest safety tests. 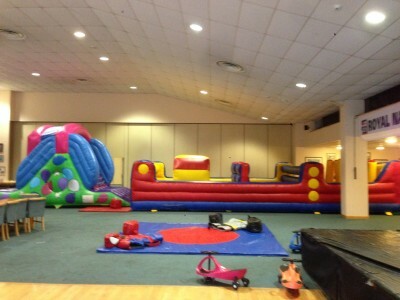 All of our inflatable''s, Sumo Sets and Soft play carry Public Liability Insurance. 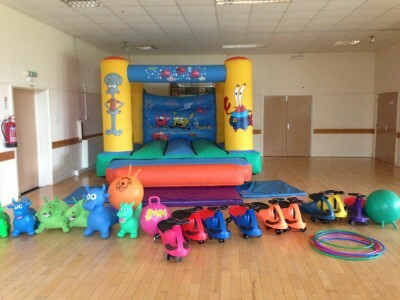 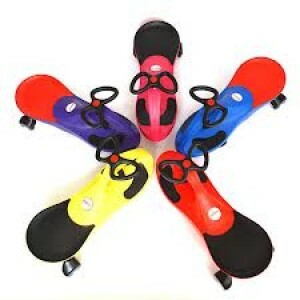 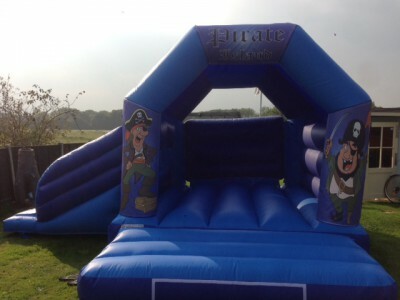 We have such a massive selection of themes, games, bouncy castles and other fun equipment to hire at competive prices. 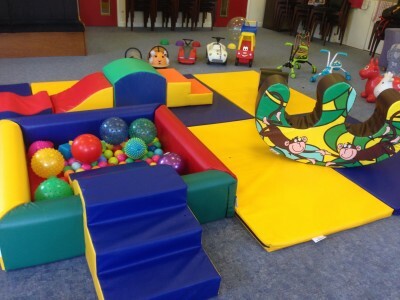 If your looking for a particular theme or activity and can't find it here, please call or message us and we will help. 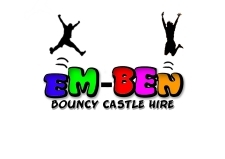 For more information/details or bookings please call Emma or Ben on 01935 849366 0r 07989775590. 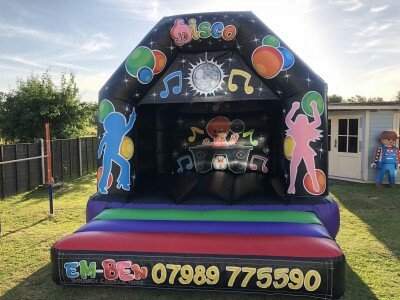 Em-Ben's Disco Dome (Boogie Bouncer) comes complete with loud bluetooth speaker and bright LED lighting. 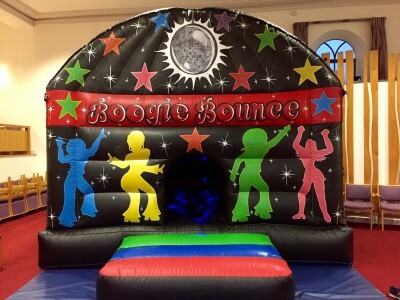 This is a fab, fun and different type of bouncy castle that inludes a Disco. 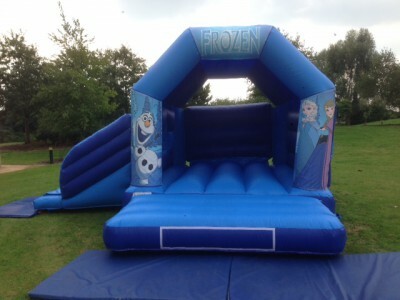 For details please call Emma or Ben. 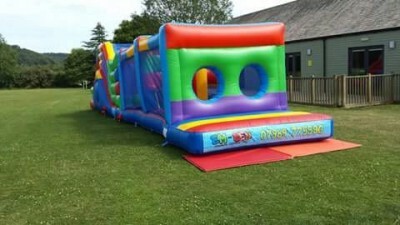 Get the party started with this amazing brightly coloured Rainbow Obstacle Course. 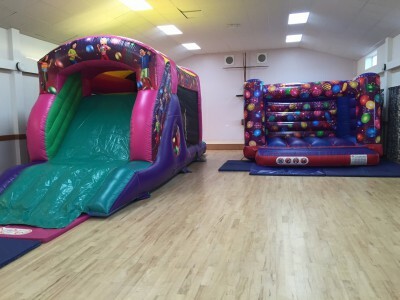 You can squeeze through holes, clamber over shapes, jump and bounce, scramble up ladders and finish with a slide, suitable for children up to age 14. 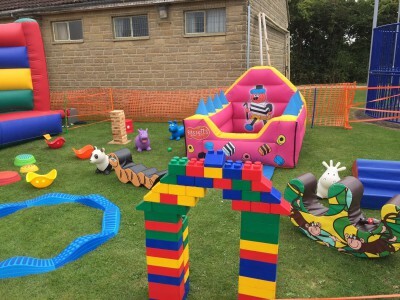 A real party favourite. 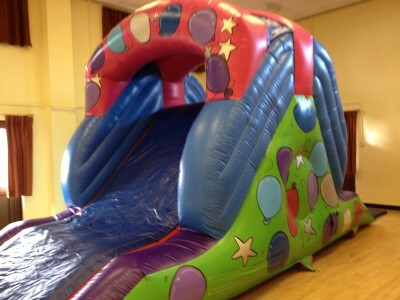 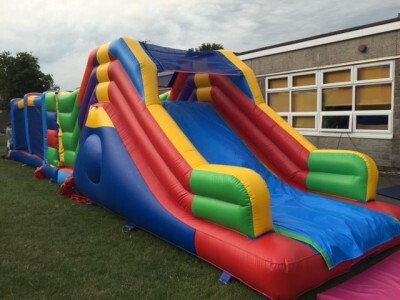 This Bounce and Slide castle provides children with a large bounce area and the excitement of a slide. 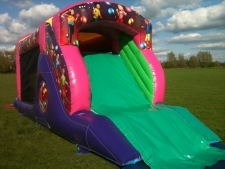 Our front slide bouncy castle enables this inflatable to be used in a higher proportion of back gardens than a slide side equivalent. 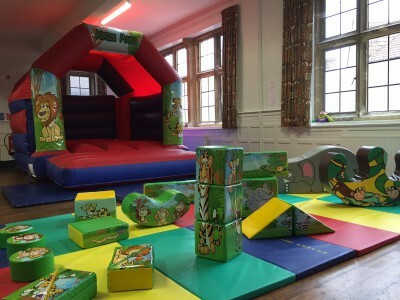 Excellent Fun indoors or Outdoors. 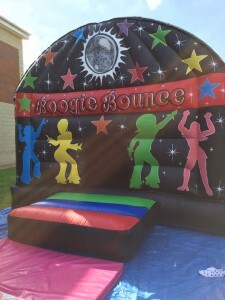 Disco Fun Run, Fantasic Safe Fun. 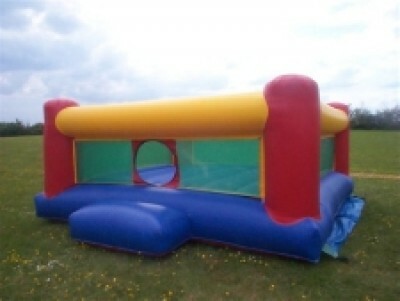 Why not try our Bouncy Boxing !!! 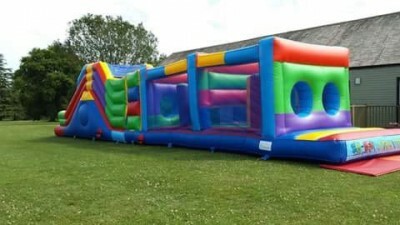 Bouncy Boxing hire comprises of an inflatable bouncy boxing ring, boxing helmets and very, very large boxing gloves. 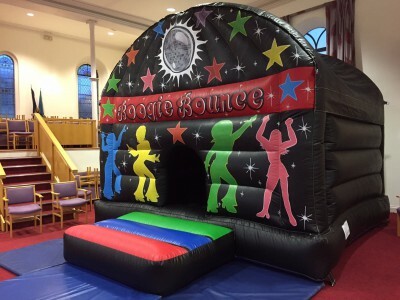 Hiring Bouncy Boxing provides fantastic fun for all ages, especially teenagers. 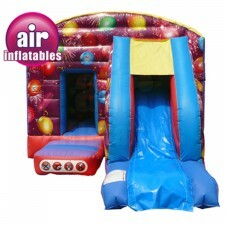 The boxing gloves are way oversized and the Bouncy Boxing ring floor is inflatable, creating a soft landing. 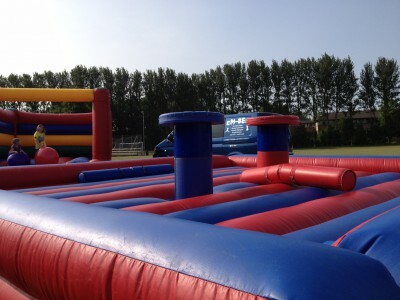 Bouncy Boxing is excellent entertainment for participants and spectators. 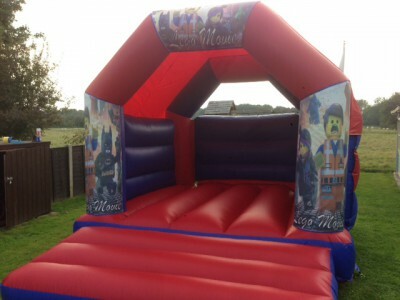 A Bouncy Boxing match can consist of timed boxing rounds or go on the number of knockouts/knock downs.